This tutorial is about wardriving using GPS. It explains how to install Garmin Etrex on Ubuntu and how to configure it. 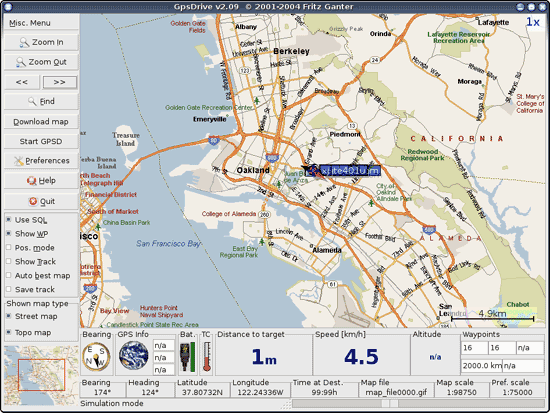 It also shows how to use Garmin with GPSDrive and how to convert the data to an xml file which can be imported by Google Earth. Ubuntu 5.10 "The Breezy Badger"
To connect the Garmin Etrex with my notebook (Sony Vaio TR5MP) I needed a serial cable and a USB converter. You can order the cable and the converter at http://pfranc.com/cgi-bin/pub/u_OR?pid=eUSB1. As first you have to download few tools that we are going to use later. I had a couple of problems with configure Garmin. First plug in only the converter. You can check it with dmesg if the converter was recognised. The converter should now be attached to ttyUSB0, which we use later to start gpsd. Now turn on the Garmin Etrex and wait until you have a good signal and plug it in at the converter. You can now test if Ubuntu recieve data from Garmin. Now you can start gpsd. If someone has a solution for this please let me know. Now run GpsDrive. If everything is ok you should see now a Map. (The data you see are dummy data.) We will connect Garmin later. If you want to use MySQL check the checkbox Use SQL. Your map will be different because it is your first time to use GpsDrive. Now go to Preferences -> Settings 2 and set Interface to /dev/ttyUSB0. Check also Test for Garmin and Use serial conn.
Now you can close GpsDrive. Plugin Garmin (be careful that you have a good signal). 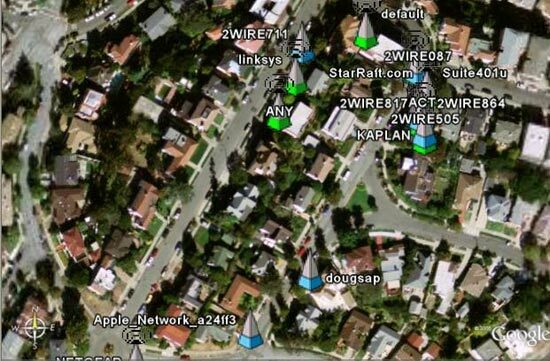 In order to use Google Earth you have to run this script  which I found here http://www.larsen-b.com/Article/212.html THX. Better than static picture is the interactive map. Something like wardrive or Google maps.